Kohler has created dreamy, delicious chocolates that are as beautiful and varied as the blooms in a garden. 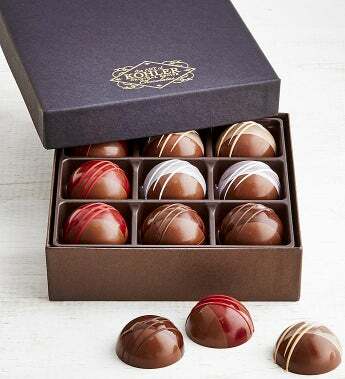 These hand-painted milk chocolates feature unique rich ganache flavors from Macadamia Nut, Raspberry and Crème Fraîche to Hazelnut Coffee. This is truly memorable gift that will be most appreciated!